Normal price: $40 per attendee. Early bird: $30 per attendee (if register by 1 May 2013). Get further 20% discount for group registration or as client* of Promiseland. Why have Medishield premiums increased significantly recently? Pitfalls in downgrading to save on premiums. Pitfalls in changing insurers to save on premiums. Introduction to Eldershield and how it works. What is $300/5 and $400/6 ? Definitions of Activities of Daily Living (ADLs). Statistics on cost of nursing home. Options to upgrade to Eldershield Supplements. Register as a client of Seth Wee to get a further discount. Click here to register. 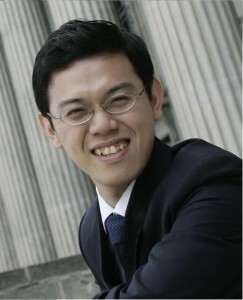 Seth Wee first joined an insurance company in 2009. Disgruntled with the emphasis on sales rather than clients’ interests as well as the inability to provide the best solutions for his clients, he left for an independent platform shortly after so that he can provide suitable and ethical advice to his clients. He blogs about personal finance and ethics of the financial advisory industry at SethWee.com. 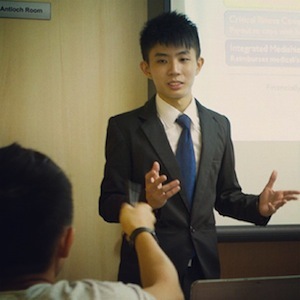 His articles have since been published in Yahoo Singapore’s finance section and he has been on Mediacorp’s television segments speaking on personal finance. Chian Jianwei is an independent financial advisor rep with a passion for helping individuals achieve their financial goals. He adopts a no-nonsense and systematic approach to financial planning and does not shy away from tough subjects when providing professional advice. Jianwei joined the financial advisory industry in 2011, following a 7 years career in the public service, in which he was heavily involved i n policy works. He credited much of his systematic approach to financial planning to his early days training in policy works. He is an Associate Financial PlannerCM. Wilfred Ling is the FA Associate Director with Promiseland Independent Pte Ltd. He is a CFA charter holder and Chartered Financial Consultant® providing comprehensive financial planning services. As an ISO 22222 (SCI) certified person, his work has been externally audited in relation to his financial planning process, ethics, competency, experience and thus adheres to the International Standard for financial planning. Yes it is transferable. Use this page to transfer: HERE. Yes, use this page to update the registration information: HERE. 7 or more days prior to the seminar: full refund. 6 or less days prior to the seminar: no refund. There is no refund for ‘no-show’. For location map, please refer to this map HERE. If the event is cancelled for whatever reason, a full refund will be made. *Can I sign up as “client” to get 20% discount if I am not any of the speakers’ client? Yes – if you are a client with an existing financial adviser from Promiseland Independent Pte Ltd. However, you should indicate the name of this financial adviser during the registration process so that he or she will follow-up with you if you have any queries after the seminar.